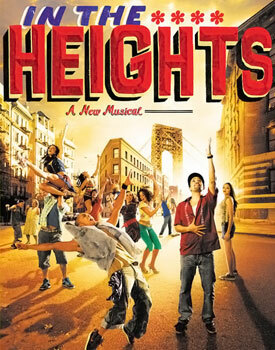 Quinland spent a week this month trying out for the Fall school musical, In the Heights. They had a day of singing auditions and a day of dancing movement auditions before the cast was chosen. I was surprised that he decided to try out; besides his recent turn as King Richard in the Robin Hood play at Willowbrook Arts Camp this summer, Q hadn’t done a play since third grade, as far as I recall. This was a slow summer. We didn’t take any trips, we didn’t see many people, and we didn’t have much excitement. We were pretty focused on home: spending quality time with our visiting family, getting things prepped for a big garage sale, selling stuff on Craigslist, and – in Qunland’s case – taking an online math class so that she could jump a year of math and take Precalculus as a sophomore. It was incredibly productive, but we were a bit bummed that we didn’t do more. See that kid? I love him. And guess what? He loves me. I know this without a shadow of a doubt. He’s an amazing kid, I’m an awesome mom… all is well.